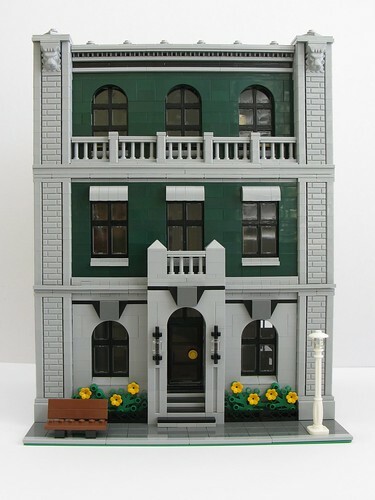 Brick Town Talk: Emerald City Accommodations - LEGO Town, Architecture, Building Tips, Inspiration Ideas, and more! Not In Kansas - (BTT) Appropriately named for a tin man in the lobby, the Lion Heart Hotel boasts some of the finest in hospitality on either side of the rainbow. Easily recognizable by its dark green exterior with a pair of lions standing guard at the crown, the simple but polished details give an excellent sense of what to expect inside. Grand lobbies and spacious rooms make this a cut above your standard home away from home - there really is no place like it.